We learned during our first winter in our passive house that some smoke particles enter our house through the ventilation system. The smoke particles are so small that the filter doesn't catch all of it. 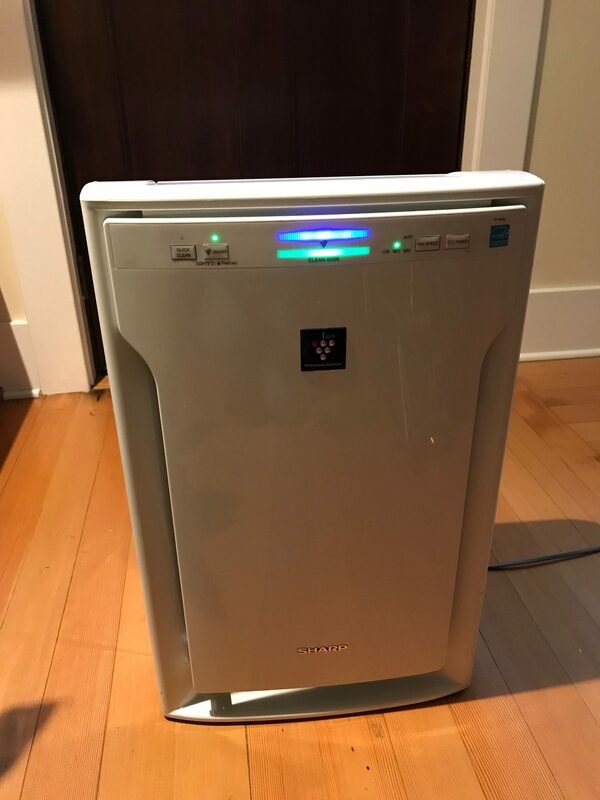 For the last five years, our indoor air quality management routine had been unplugging our Zehnder ComfoAir 350 heat recovery ventilator (HRV) when we smelled smoke inside the house. In the last couple of weeks, we had to refine our seasonal practice because the outdoor air quality had been poor due to large fires in California. 1. External air quality check. We look at the real time air quality index to see what our air quality index number is. If it’s good (green 1-50) then we leave on our heat recovery ventilator (HRV) and operate it as normal. Our normal operation is HRV fan set on medium speed and boosting up to high when we’re cooking in the kitchen. 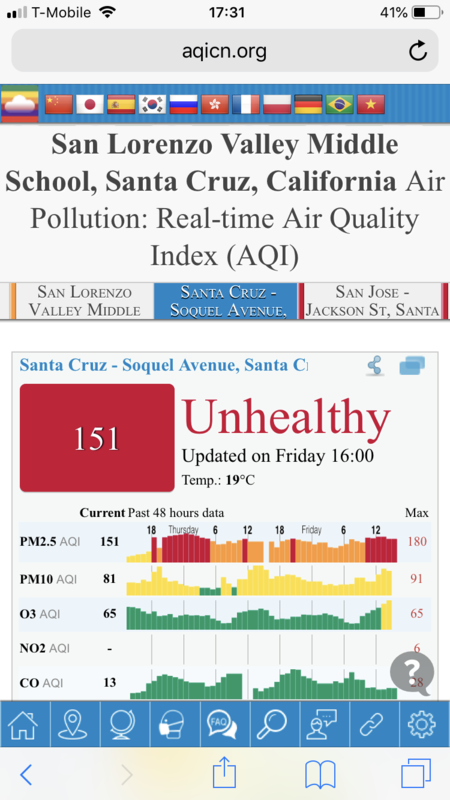 If the air quality is unhealthy (151 -200) or worse, we unplug our HRV. If the air quality is moderate (51-100) we stick our nose outdoor and sniff the air to decide whether to unplug our HRV or not. Just like temperature, there are micro variations of air quality within a given city. For example, last night we noticed and felt the air quality on the east side of out city to be much worse than on the west side. 2. Check for major fires and wind direction. 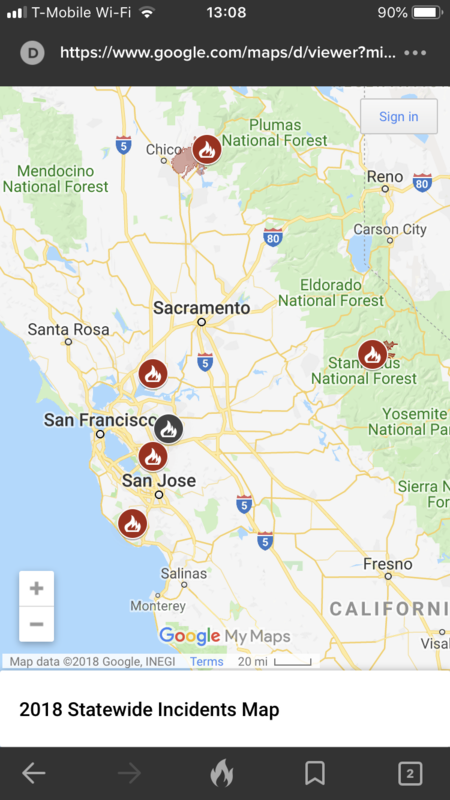 We look at the California statewide fire map to see what fires are burning nearby. Depending on the size and number of the fires, we may be affected by fires burning over 100 miles away. The wind pattern makes a difference, so we look at the weather data to find out the wind direction. The 10-day forecast section is useful because it will show the change in forecasted wind pattern. With may fires burning north and east of us, winds blowing from south and west bring us relief, especially since those directions are over the ocean. 3. Check air quality levels inside the house. We look at the data from our FooBot. This is a relatively inexpensive air quality monitor for homes. We have it placed in the kitchen near the HRV supply vent. The device glows orange when air quality is bad and glows blue when it’s good. I can see the data and history on the FooBot app on my iPhone. This screen shot shows the state of our indoor air quality after leaving the HRV turned off overnight. 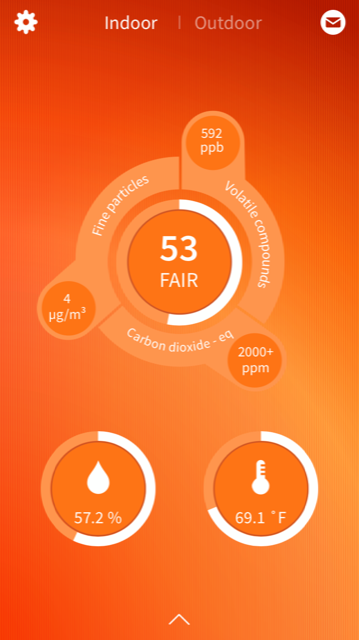 The composite score is 53 (a score based on some algorithm) and the breakdown of the air quality components are: Fine particles (4 is great), Volatile compounds (592 is poor), and Carbon dioxide (2000 is poor). We've noticed that Volatile compounds level spikes up when we cook. We have a recirculating venthood in our kitchen, so we rely on the HRV to evacuate the cooking smells. The only way to rapidly clear the air in the kitchen is to open the windows, but we don't want to do that when the outdoor air quality is bad. When we turn off the HRV for an extended period of time, Carbon Dioxide level builds up, like on this screenshot. At these times we turn on the HRV for a short while to flush out the VOC and CO2. During this time the particle count goes up, but we let the air purifier handle that. 4. Run an air purifier. Couple of years ago, Kurt did some research and bought a Plasmacluster Ion technology air purifier from Sharp. Most of the time it sits in his office at work, but recently he’s been hauling this back home in the evening and weekends. This cleans the air and we can feel it. We have recent experience where this device changed our panic to calm. On the morning of Saturday November 10 our house stank of skunk in addition to the smoke. Our neighbor’s dog got sprayed in the middle of the night and HRV sucked in the skunk smell in addition to the smoke. The smoke and skunk particles are so small that they get through despite the layers of filters we have. We were about to host an open house and tour for the International Passive House Days event and we were worried about the indoor air quality. We ran the air purifier for 10 - 30 minutes in each room and it cleared up nicely. 5. House plants in place to clean the air. We have house plants in every room. Plants provide oxygen and absorb carbon dioxide. 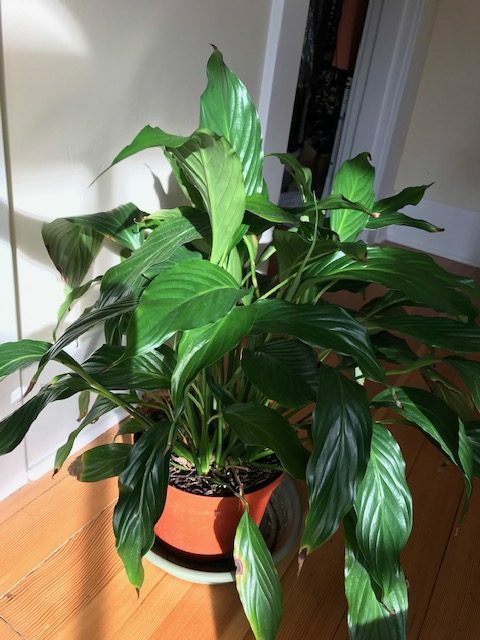 Several years ago, Kurt bought a lot of peace lily plants after learning that the plant removes chemicals such as benzene and formaldehyde. These plants also help with the humidity. We enjoy living in Midori Haus built to the Passive House (Passivhaus) standard. The tightly sealed enclosure, about 10 times tighter than conventionally built houses, keeps random air from coming in from random places. The heat recovery ventilator provides us with continuous filtered fresh air. Only during these extended bad air quality days do we need to pay special attention to our ventilation system to keep our indoor air clean. Our next experiment will be to install the Zehnder ComfoWell F9 filter (yellow filter that has MERV 15 rating) at the air intake, next to the charcoal filter. If it arrives before the outdoor air clears up, we’ll be able to measure the result of this new filter.